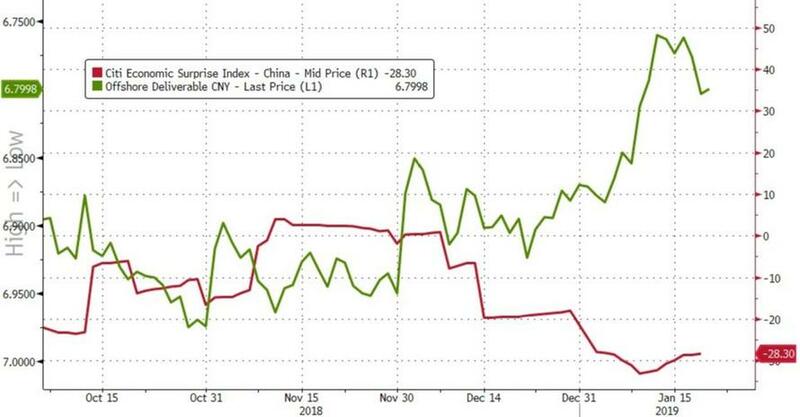 After downbeat headlines over US-China trade talks, and following China's greatest liquidity injection ever (over 1.1 trillion yuan last week) after weak Chinese macro data in the last few months (including the collapse of China trade data), all eyes were on tonight's avalanche of China economic data. 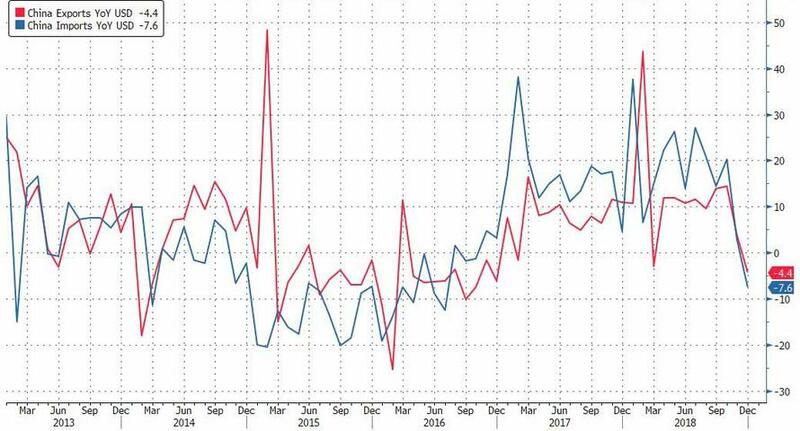 We've had no shortage of warning signs in recent weeks and months that the slowdown was becoming more broad-based, including the official manufacturing PMI dipped below 50 into contractionary territory for the first time since March 2016. 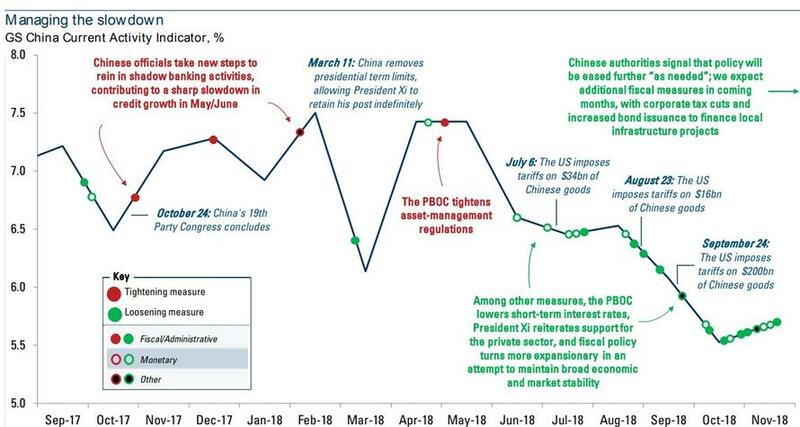 China's car sales, for example, declined last year for the first time in more than two decades. 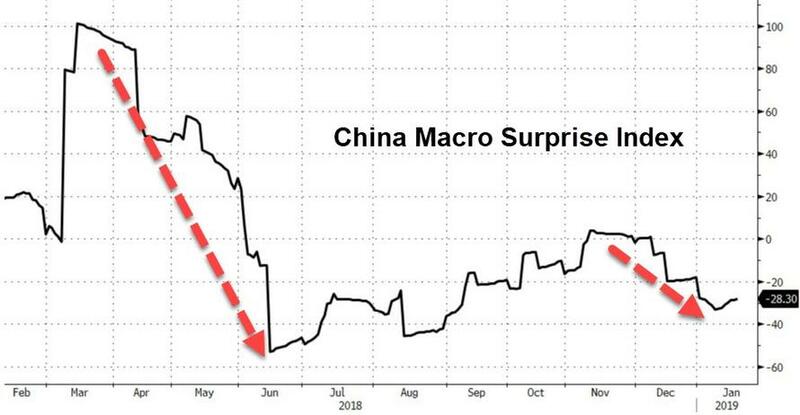 Here's another sign that China's economy is slowing: GDP in the southern manufacturing hub of Shenzhen grew at 7.5 percent in 2018, Xinhua reported Friday. That compared with a growth rate of 8.8 percent in 2017, and 9.1 percent in 2016. So what does tonight hold?